Here’s a quick account of a Mosaic tiled pool cleaning I completed in the grounds of a grand house situated in the New Forest which is a national park on the west side of Hampshire. Mosaic tiles have been in use for thousands of years and are a popular choice for swimming pools, the tiles used in this pool were glazed ceramic which are very hard wearing and don’t generally need that much maintenance. 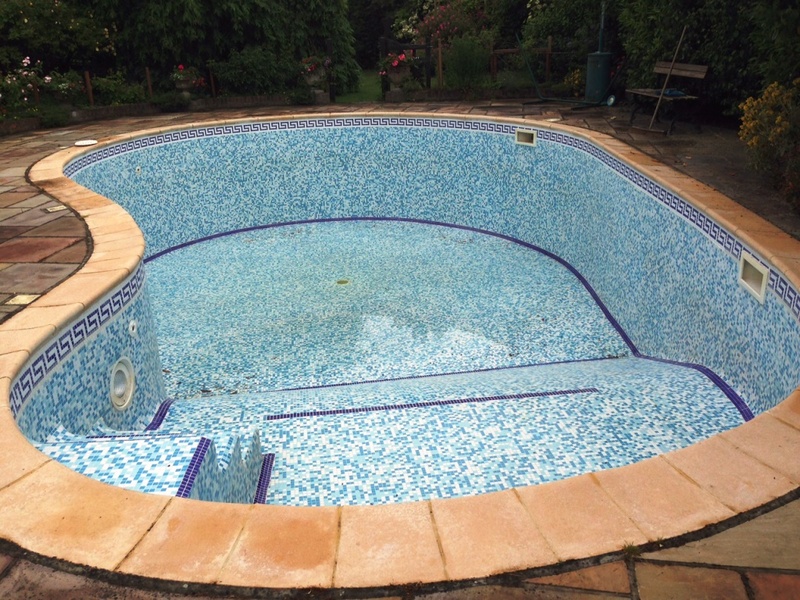 My client had just drained the pool in order to repair some cracked tiles, and so took the opportunity to have the entire tiled surface professionally cleaned and we were called in to get the job done. To get these tiles cleaned I mixed a strong solution of Tile Doctor Pro Clean, which is a high alkaline, versatile cleaner, suitable for use tile, stone and grout and ideal for this job. The cleaner is sprayed onto the surface and then allowed to soak in to the dirt and grime breaking it down and making it easier to remove. The solution was applied, and working in sections, the tile and grout were scrubbed with the aid of a hand-held rotary machine fitted with a small scrubbing pad. Once the tiles had been scrubbed they were then washed down with water under high pressure. As you can imagine given the size of the pool, the cleaning process certainly took some to complete. However, it was definitely worth it, as we were able to achieve some amazing results although I’m not sure you will appreciate that with these photographs. Ceramic tiles won’t take a sealer so there was no need for any further work. 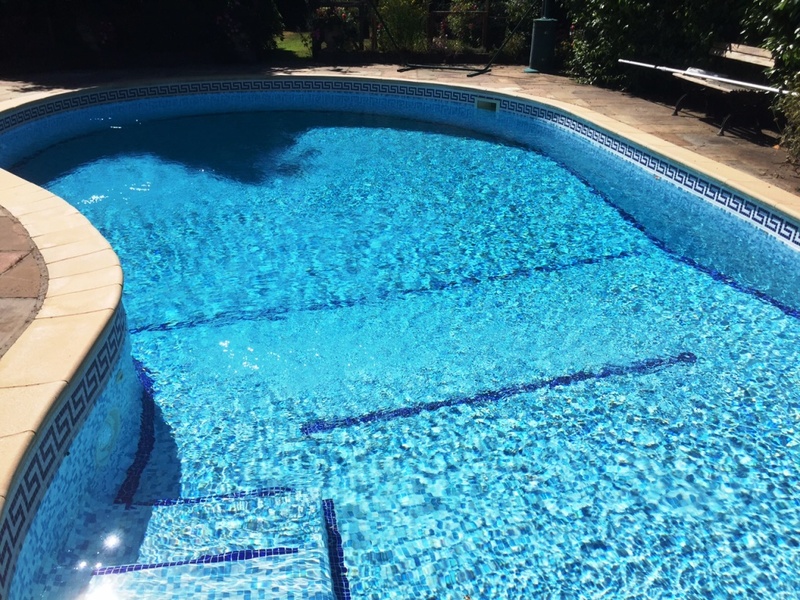 My client was also pleased with the results, and will no doubt be happy to have a clean pool ready for when the warm weather finally comes back around – whenever that will be!